How Do I Help My Children with Their Grief? I feel so burdened for my children. Loosing these baby boys has been hard on me, but my children, too feel it. They were excited about having a new baby join our family and it was something we excitedly talked about on a daily basis. We still talk about the boys almost on a daily basis and I’m glad they talk. On days that I pull away or I’m distant and sorrowful, they draw close to me. They cuddle more, hug more and look at me tenderly. They check on me and make sure I’m, “OK”. They stay close. They ask if I’m missing Avi or Jussi. They are an example to me about how to care for them. When they struggle I often can’t tell. They are more teary about loosing a lego, or yell at their sister for stepping on their blanket and then push her over, and they try to manipulate situations to their benefits. I can’t say I’m the best at asking the hard questions and drawling them out during the busy to dos of the day. I have found that books help. Books help them and me. There are a few books in particular that have been given to me that I particularly love. But… knowing that they speak so well and so clearly, I can’t read them with out crying myself. I don’t mind and I don’t think the kids do either. The subtitle states “Comfort for Kids Facing Grief, Worry or Scary Times” which is well put. This book is a question answer conversation between a little bunny and mama bunny. They discuss who God is, what He is like, Why do bad things happen?, What if I’m scared, How can I help others, and more. It’s simple and perfect for elementary aged kids. Because it’s questions between a child and mama I think it helps the kids think of their questions. We usually discuss as we read and asking questions like, “Do you feel that way” or “Do you believe that about God?” It helps us to talk together. This line always makes me cry each time I read it, “The Farmer was good, and the Farmer was kind, and the Farm was always watching over them.” Its a good truth for me to hear even when my heart doesn’t feel it. This book is precious and perfect for my oldest daughter Aisling. This little girl in the book responds to the loss of her mother with anger, yelling, kicking and acting out. So does Aisling. I often read this book to her with her name there instead of Emily. Loosing a parent is certainly a different type of loss and much harder. Her father connects and helps her by writing a poem answering “Where is God” with Bible verses. They memorize it together so that she always has those truths with her. I’m not sure Aisling would memorize it or that it would be helpful to her, but maybe we should give it a try! For other children it might be just the right thing. This has been a true treasure. We talk about our babies being in heaven with Jesus and we will see them again one day, but none of us really know what heaven is going to be like. I didn’t know how to talk to my kids about heaven. If I haven’t been there or seen it how can I describe it? This book is really great. Its written in the context of a little boy who always spends the summer with his grandparents and this year is just isn’t the same since Grandma died. He has precious conversations with his Grandfather about sorrow, loss, pain, sickness and much more. This book is much longer than the others and can’t be read in one sitting. Each chapter has a colorful photo and takes about 10 minutes to read. There are about nine chapters in total. I felt like this book was much more philosophical than a kids story, and therefore didn’t think they would like it as much, but they adore it. 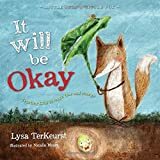 In fact, after we found out Jussi had died and before he was delivered, the boys ran and got the book and asked to read it again together and we did. It was really neat to see that we had resources that they found helpful and knew what they wanted to be reminded of. I don’t have this book, but I have it on my wish list! This book is written by a mother who lost one of her daughters a few hours after her birth. They knew she had severe internal deformities that couldn’t be fixed with surgery. They loved on her for a few hours before giving her back to God. Her name was Audrey. From best-selling women’s author Angie Smith (I Will Carry You, Mended) comes this sweet children’s book about a stuffed animal named Audrey Bunny who fears her imperfections make her unworthy of a little girl’s love. She’ll learn the truth soon enough, and young readers will learn that everyone is special and wonderfully made by God. 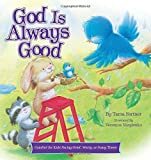 Part of the reason these books are so great is that they teach great biblical truth in a simple way for children to understand and when I have a hard time putting thoughts together or reasoning out what is going on even, they are perfect for me too. I hope you can find some of these books helpful to you or as gifts for another family who will.